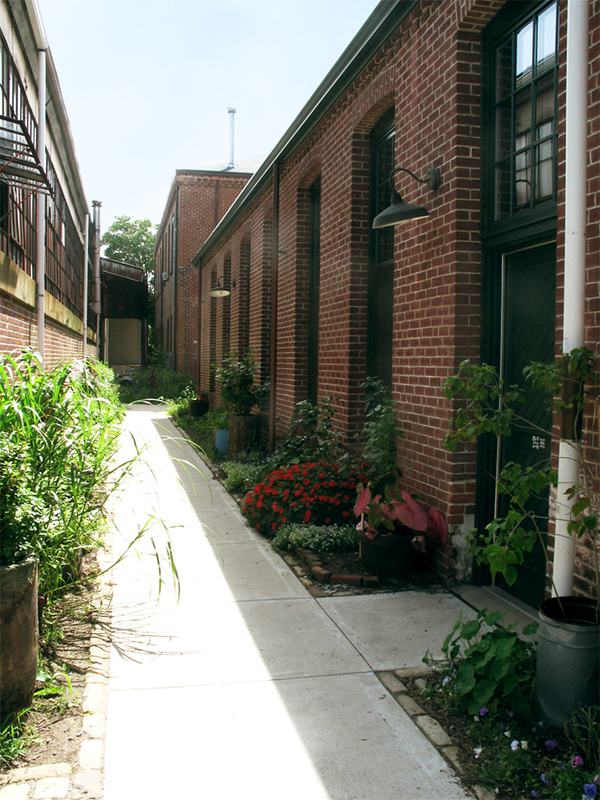 This was our first mill building renovation, but also our biggest to date: 63,000 SF in 6 buildings, this complex was built in 1866, and bought by 4 artists in who managed to secure funding from a number of sources including the Providence Revolving Fund to renovate the building into 39 artist-only live-work condominiums. It took 3 phases over 5 years and plenty of sweat equity but this courageous crew managed to develop one very creative community that still thrives today. The project marked the earliest iteration of our green building approach: first do no harm. By NOT demolishing the building and reusing it for a new purpose, the developers gave Truth Box the chance to explore the difficult topic of insulating masonry walls and finding ways to insulate the buildings while still working within the Park Service guidelines for historic preservation. This was the first project we used “combi” units (combined heat and hot water) to economize on energy and space constraints. Tall ceilings allowed plenty of room for ducts work, while ceiling fans circulate the stratified air throughout the open floor plans. (Monohasset Mill is a National Historic Register site.) Started 2001; completed 2006.